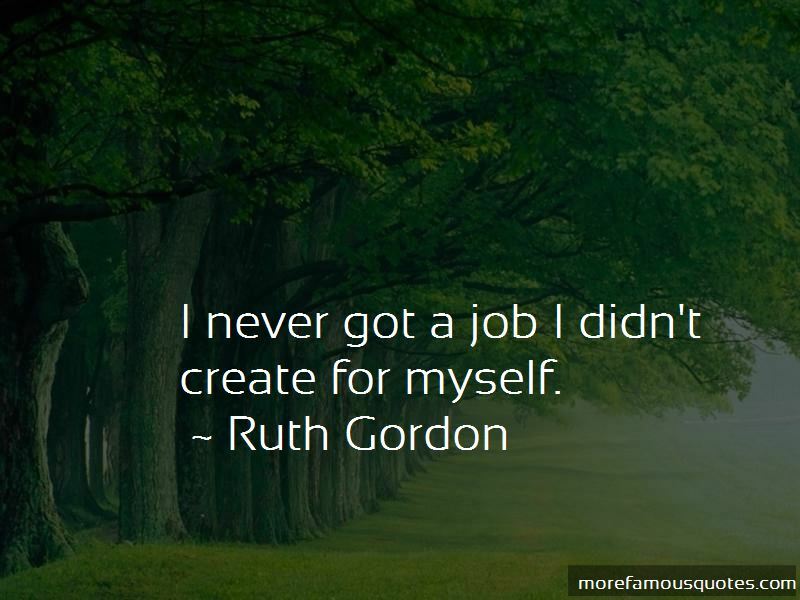 Enjoy the top 39 famous quotes, sayings and quotations by Ruth Gordon. Despair is your friend in show business. I don't believe you can act if happiness is your lot. It's the ups that keep you living and the downs that mete out talent. I feel that much of the world's sorrow comes from people who are this, yet allow themselves to be treated as that. 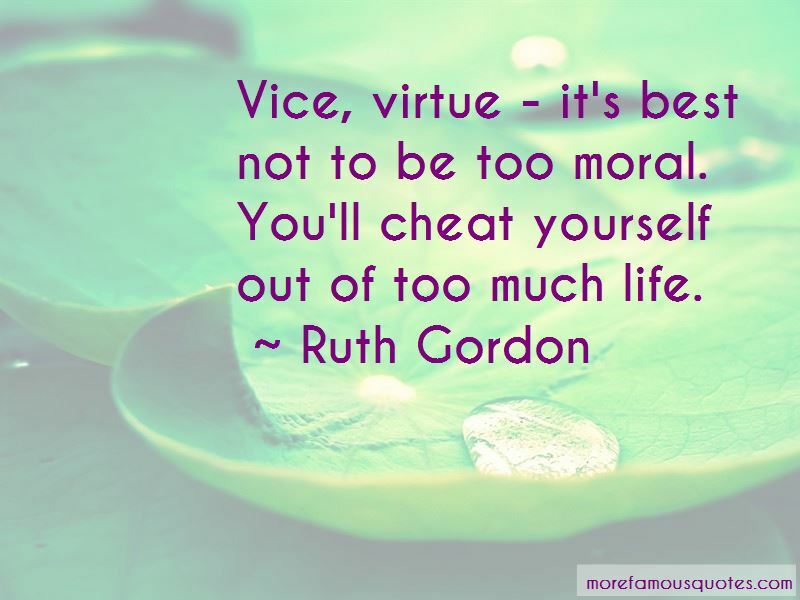 Aim above morality. If you apply that to life, then youre bound to live life fully. Get up early in the morning before everybody has breathed up all the good air. Live long enough and you'll come into pensions, a lovely thing. Presents every month from people you didn't know cared. 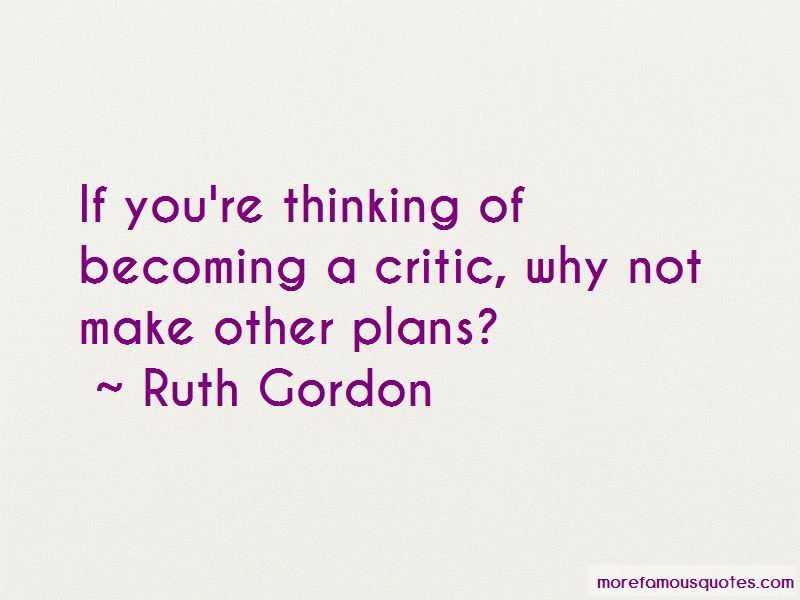 Want to see more pictures of Ruth Gordon quotes? 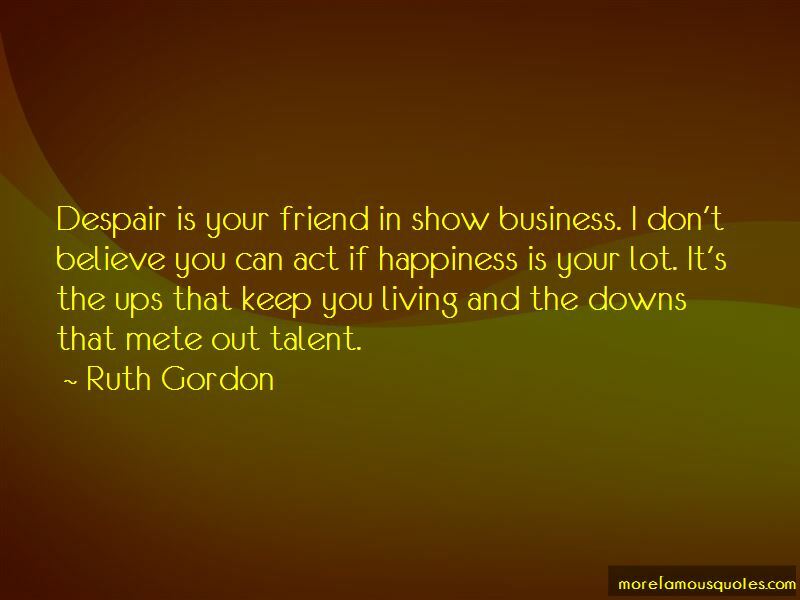 Click on image of Ruth Gordon quotes to view full size.